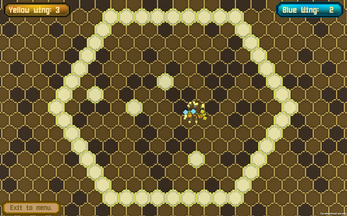 A 1v1 battle game where each player plays as a bee trying to knock the others stinger off. Download, unzip and play with a friend! Keep all files in the same folder to avoid issues.